Hong Kong (CNN Business) China’s economic slowdown is deepening as its trade war with the United States gets worse. The world’s second biggest economy grew 6.5% in the third quarter of this year, according to official data published Friday. That’s its weakest quarterly growth since the depths of the global financial crisis in early 2009 and below economists’ expectations of 6.6%. 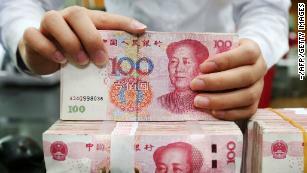 The Chinese economy has lost momentum this year following government efforts to try to rein in high levels of debt. It has also started coming under pressure from US tariffs on more than $250 billion of its exports. Chinese officials have turned to tax cuts, infrastructure spending and looser monetary policy as they seek to prop up growth. “We think more easing will still be needed in order to stabilize growth,” Julian Evans-Pritchard, senior China economist at research firm Capital Economics, said in a note to clients Friday. He predicts the slowdown will bottom out around the middle of next year. The country’s stock markets and currency have been pummeled in recent months by fears about the economy and the impact of the trade war. As the disappointing growth numbers came out Friday, top Chinese economic and financial officials made a rare, coordinated attempt to ease investors’ concerns. 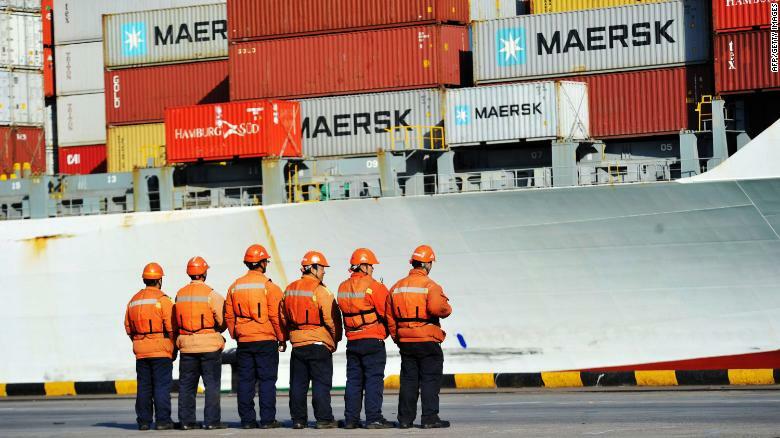 Workers at the Chinese port of Qingdao. Chinese exports are likely to face tougher months ahead. Central bank chief Yi Gang said in a statement that the slump in the stock market didn’t reflect the state of the economy, which he described as “moving forward” in a stable manner. He added that the government would take more measures to support the economy. Similar comments were made by the heads of China’s securities and banking regulators and President Xi Jinping’s top economic adviser. Stocks in Shanghai were up more 2% in afternoon trading. Despite the slowdown, China still looks on track to meet the government’s 2018 growth target of about 6.5%. Experts have for a long time cast doubt on the accuracy of official Chinese economic data, turning to other indicators like electricity output and freight shipments to get a clearer picture of what’s going on. 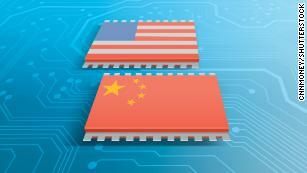 The intensifying trade fight with the United States is likely to weigh more heavily on China in the coming quarters. The Trump administration plans to raise its tariffs on $200 billion of Chinese goods from 10% to 25% at the end of the year. And Trump has said he’s prepared to expand the tariffs to effectively cover all Chinese exports to the United States, which topped $500 billion last year. China’s exports grew strongly in September, but analysts said that the numbers may have been boosted by companies rushing to ship goods before new US tariffs kicked in near the end of the month. “The worst is yet to come,” Kevin Lai, an economist at investment bank Daiwa Capital Markets, said in a note to clients Friday.